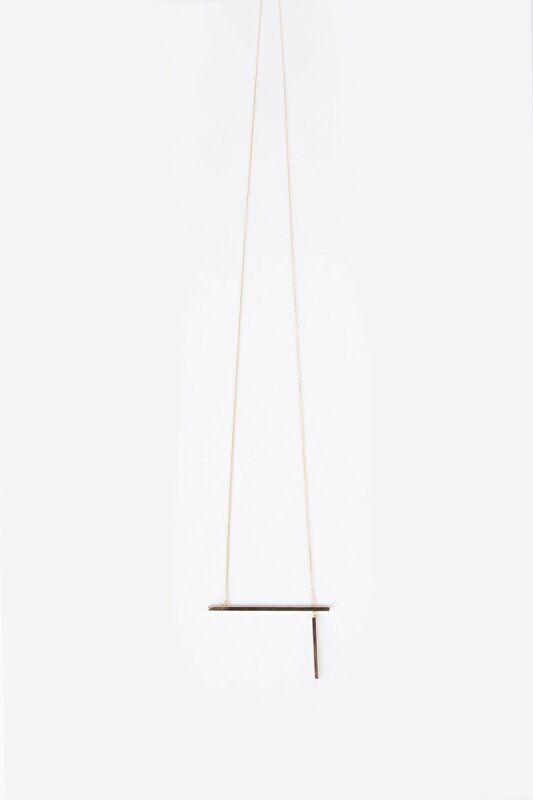 An alluring piece that's perfectly off balance, this necklace dangles at a long length. It features a solid horizontal bar with a vertical bar swinging delicately underneath. 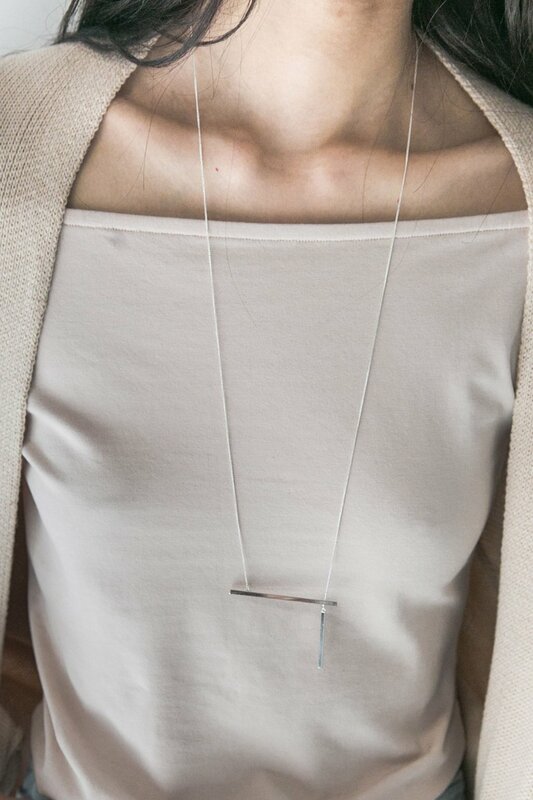 Layer with necklaces of shorter lengths for a stacked look.